Coaching at Watford Fencing Club is provided by a team of qualified, experienced and above all friendly coaches with well over 100 years of fencing experience between them. We are able to offer coaching for fencers of all abilities and tastes, so whether you are a beginner, have just started doing competitions, moving up the national rankings or reaching towards becoming a Olympic fencer or just enjoy fencing for a bit of relaxation, we have the coaches for you. There is NO extra charge for coaching on top of membership fees for full or monthly-flexi paying members. Lajos has over 50 years of fencing experience and has been coaching the sport for over 30 years. Lajos was the leader of the Hungarian Modern Pentathlon Talent program between 1980 – 1990. He was also the head coach of the the Junior Hungarian Modern Pentathlon team at the World Championship in 1990. 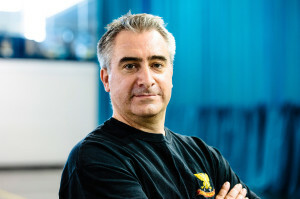 Lajos brings a wealth of knowledge and experience to the club having coached fencers at the highest level, which reflects in his style of performance coaching. Lajos holds a Level 4 Épée and Level 1 Sabre coaching qualifications from British Fencing, however coaches all three weapons within the club. 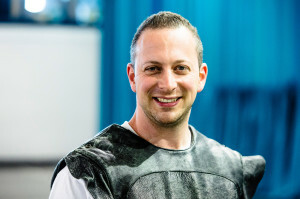 Daren began fencing at Southbank University and trained at Salle Frohlich and Bedford Fencing Club and has competed successfully in national and international tournaments for many years. 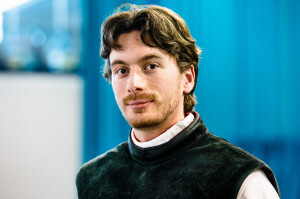 Daren has been a qualified coach for over ten years and holds the Level 4 Advanced Sabre and Level 3 Foil coaching qualifications from British Fencing and the British Academy of Fencing. Chris has over 35 years fencing experience, winning a number of medals at county level. Chris holds a Level 3 Foil, Level 2 Sabre and a Level 1 Épée coaching qualifications from the British Academy of Fencing. Chris coaches the intermediate foil and sabre courses following the completion of the Beginners’ Course. He has fenced at regional level in France, Channel Islands and the United Kingdom and takes part in national competitions both in the UK and aboard. Although modern fencing is his main discipline, he has also been an Eishin-ryū student for several years. 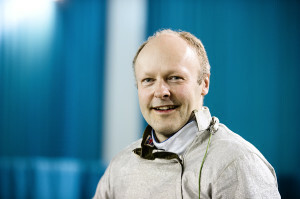 Andrew has been coaching fencing for more than 15 years and is the lead coach on our regular beginners’ courses. He has been privileged to watch many of his novice fencers go on to win open competitions. 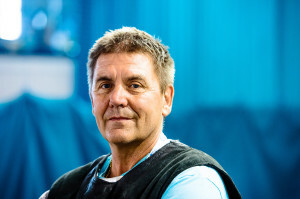 Andrew has been coached by Iron Maiden frontman, Bruce Dickinson as well as appearing alongside Pierce Brosnan and Madonna in the highly acclaimed fencing scene from James Bond’s Die Another Day. Andrew holds a Level 1 Foil Coaching qualification from the British Academy of Fencing and is one of the longest serving active members of Watford Fencing Club.